When it comes to one of spring’s hottest trends – white – it’s time to rip up the eveningwear rulebook and look for new ways to wear classic blanc. Swap a LBD for a LWD, safe black tailoring for stand-out white versions and even dial up the drama on a perennial classic: The white shirt. Always start with a show-stopping gown when you’re updating your eveningwear wardrobe. Channel A-list style with the Wing Sleeve Column Dress by Halston Heritage and know that you’ll be the bell of the ball at any new season event. Or, if you prefer to keep your eveningwear a little lower key, invest in Karl Lagerfeld’s Reka Organza Bow Tie Neck Shirt to make a statement in subtle style. 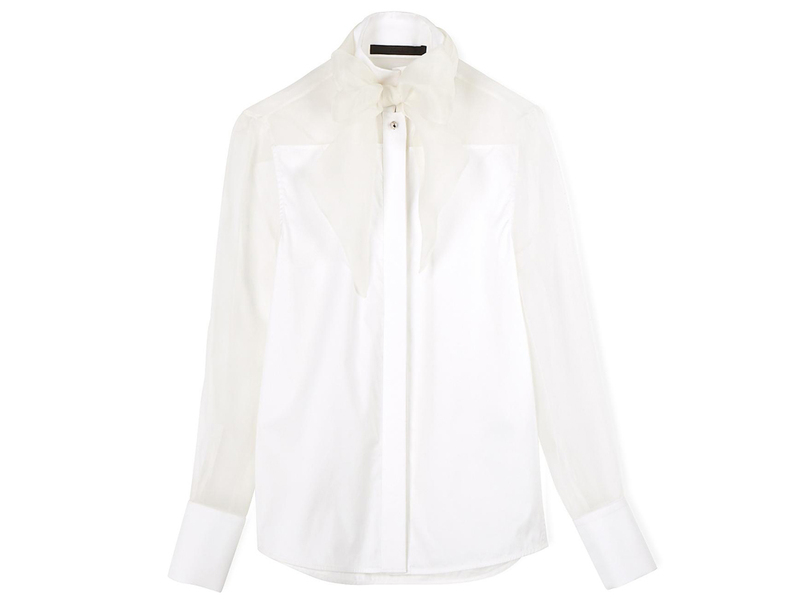 Team this beautifully designed white shirt with tailored trousers and heels for that classic Karl Lagerfeld look. 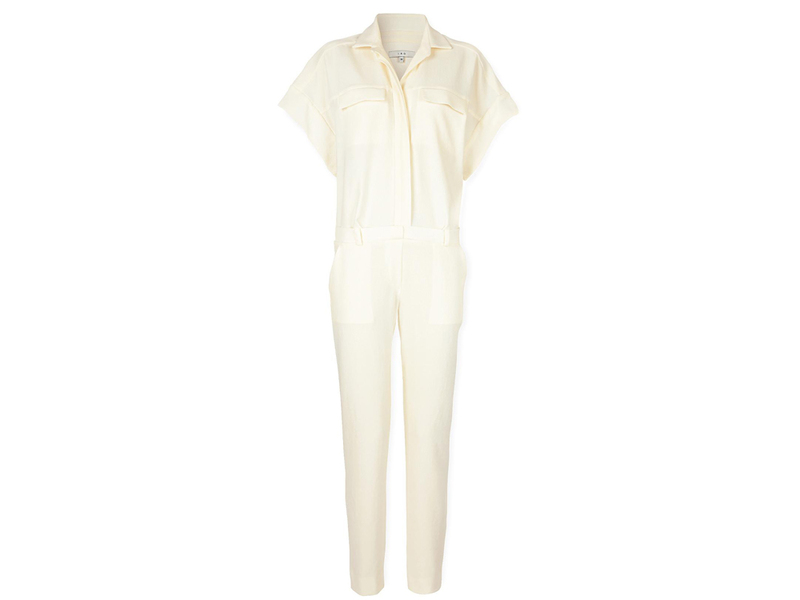 Step out of your eveningwear comfort zone and make an impact in IRO’s Wide Sleeve Jumpsuit. So much more on-trend than tailored separates or even a black jumpsuit, this is your one-way ticket to chic summer style.